Sometimes you need to transfer cookies from one machine to another. For example, you are going to Login to Facebook from another PC while traveling abroad. If you do this directly from another PC, most probably you will be requested Identity verification, the thing that is not always easy when you are not in your home country. 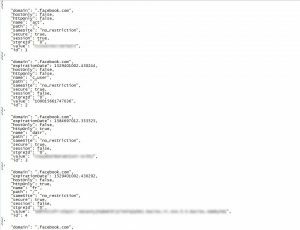 How to avoid it? Pretty simple. 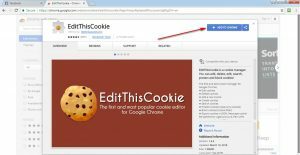 All you need is Google Chrome Browser with EditThisCookie addon. Let me show you how to do this. 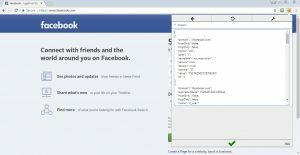 Save this cookie file and copy if to your USB Flash (or phone, or any other storage you can take). 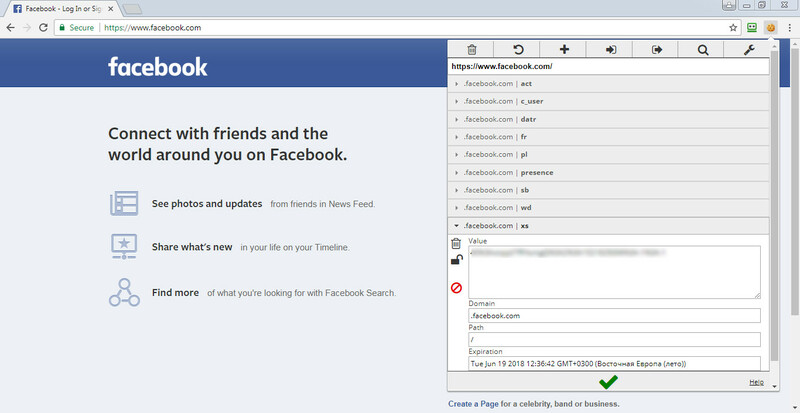 Now let’s suppose we have a new PC in another country and you need lo check your Facebook messages. 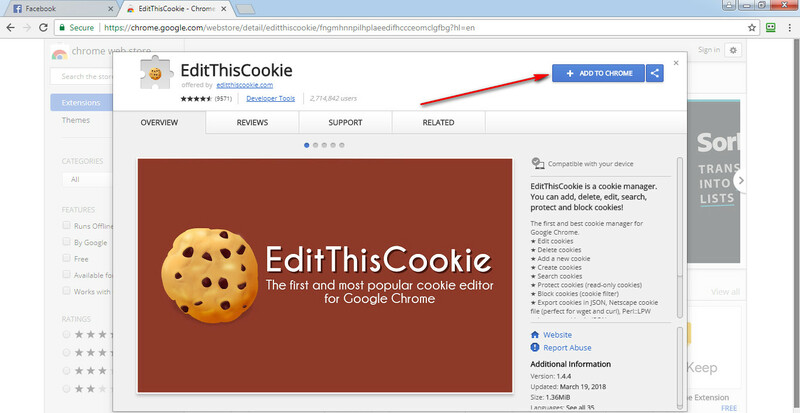 You should also have Chrome with EditThisCookie extension installed to do this trick. So let’s go to facebook.com to see the main page. 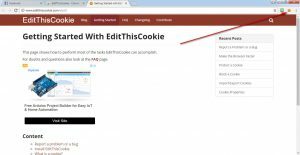 Open EditThisCookie and remove all cookies by clicking the trash bin icon. Great, now we don’t have any cookies at all! Click the Green button and you’re done. All cookies have been restored! Now it’s time to reload the page. 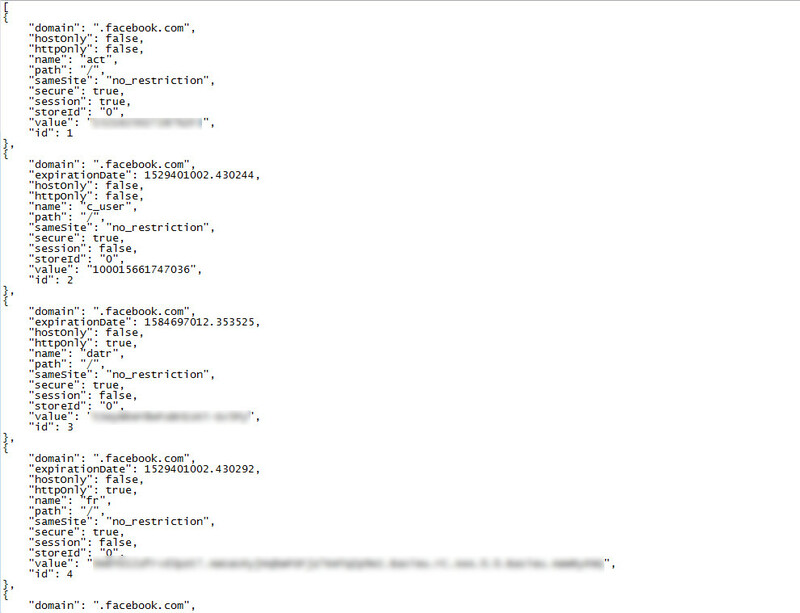 When you do this, you will be logged in! You won’t be asked for additional verification, since cookies are the same and it looks like you have just taken your laptop to another location. You can use this method when you need to deal with any cookies. 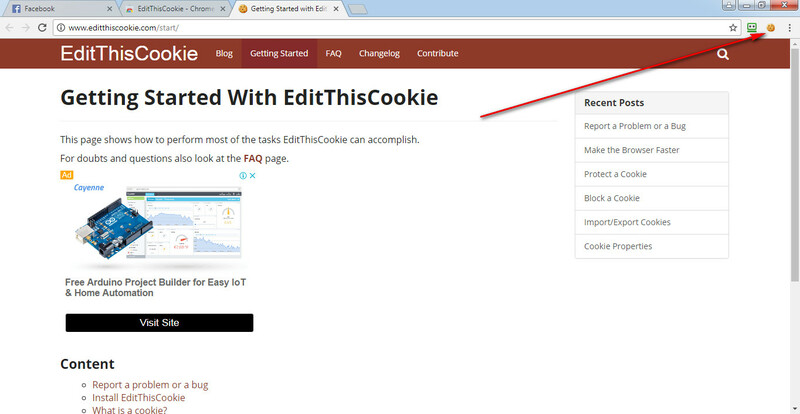 EditThisCookie allows you to change cookie values and anything else related to cookie functionality.